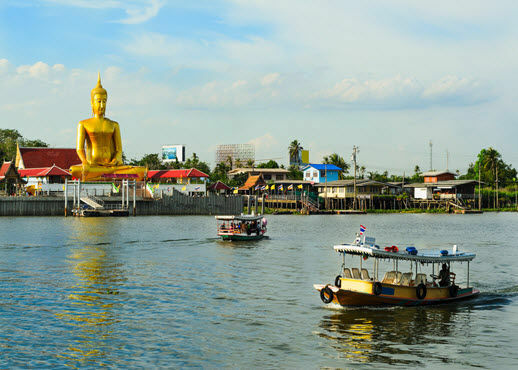 Bangkok is Thailand’s largest city, an eventful place where people from all corners of the globe flock to because of its historic tourist destinations, unique cuisine and cheap shopping bargains. Thailand offers many exotic attractions – from beaches, to women, and dishes. Here’s a look at the myriad of exotic eats you could try while in Thailand. Bangkok is well known for its lively nightlife and sacred temples. But you don't have to be a grown-up passionate about culture or clubbing to make the most of the city, as there's a lot to entertain little ones too. From exploring bustling markets and traveling by tuk-tuk, to visiting a snake farm and sailing down a khlong (canal), the Thai capital is a feast for kids' senses. Bangkok’s places of interest and leisure are so widespread that many of the areas in the city represent a good location to stay. With so many choices, it can be difficult to be sure if you’re picking the right one for you – this guide looks to give you a better idea so that you can best enjoy this wonderful city. Bangkok is a melting pot of culinary delights, with restaurants, cafés, snack bars, and even food carts available at virtually every corner. Given that Bangkok is such a cosmopolitan city, it is no surprise that it comes with a diverse menu of cuisine, including Italian, French, Indian, Chinese, seafood, vegetarian, American, and more exotic Thai bites. A Bangkok city break is a sensory overload. From colorful temples and bustling night bazaars to the aromas of street food and hum of tuk-tuk taxis, there’s never a dull moment on a stay in a Bangkok hotel.